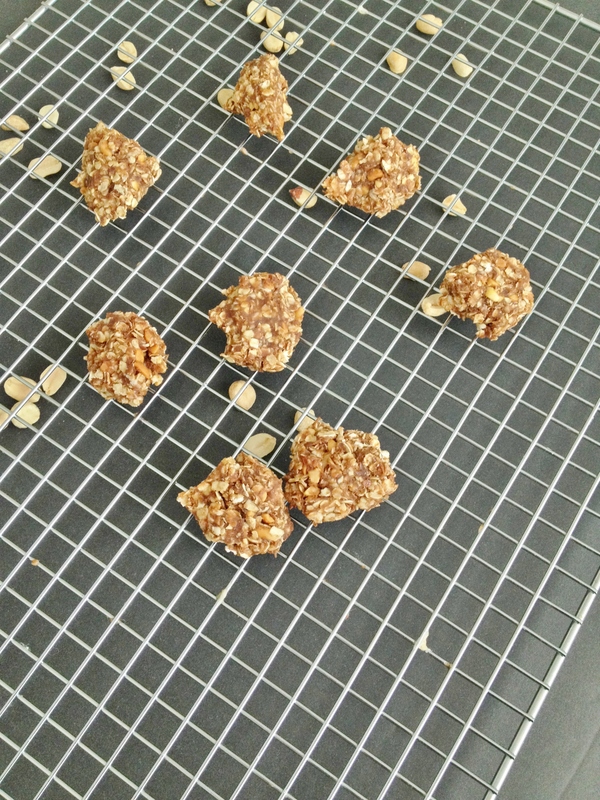 After making my yummy pb granola cups I was seriously wanting more of those sweet peanut butter and oats so I decided to make some cookies. I mean why not right? Peanut butter cookies are the ultimate in sweetness and calories, but I didn’t want all that sugar or calories so I had to think of a way to not use so much sweetness but keep the decadence. And I didn’t really want to bake anything – too much trouble. 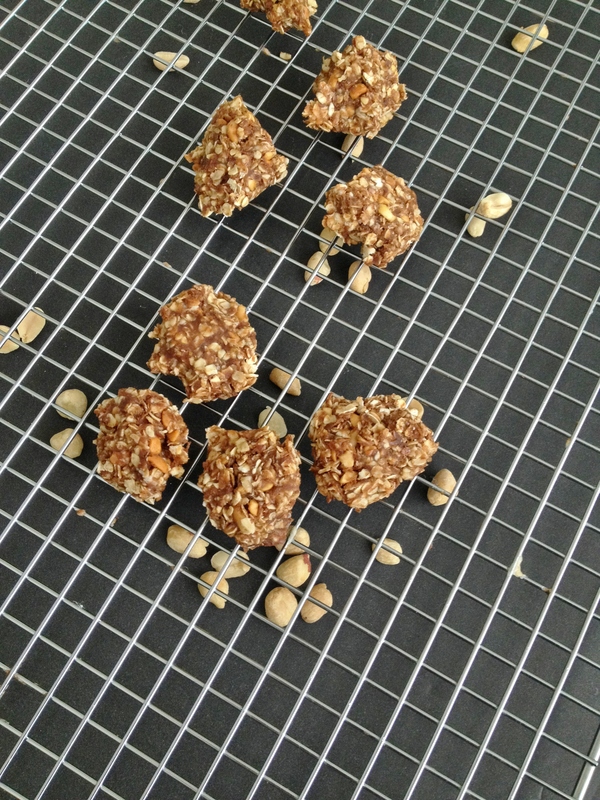 Here are my vegan and gluten-free No Bake PB Oatmeal Cookies. Peanut butter is my favorite cookie, mainly because it is always so sugary-sweet. Sweeter the better right? But since I am trying to lose weight but still want to snack on cookies I needed to rethink the ultimate PB sugar bomb. To do that? Use NuNaturals simple syrup – a sugar-free, zero calorie sweetener. Zero calories in a cookie? Well, maybe not no calories, but the less we can add then the better. 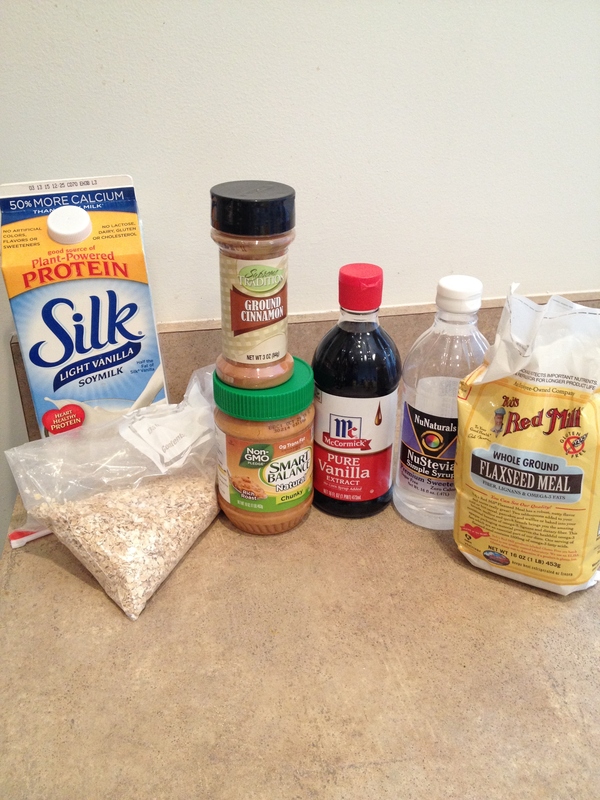 So I sweetened up these oat and flax cookies with the simple syrup and a little light vanilla soy milk. The peanut butter? My favorite crunchy Smart Balance peanut butter. It’s eat-out-of-the-jar-all-by-itself good! Start by lining a baking sheet with tin foil, and of course make room in your fridge for a baking sheet to sit. In a medium size bowl dump oats, flax, and cinnamon and mix. 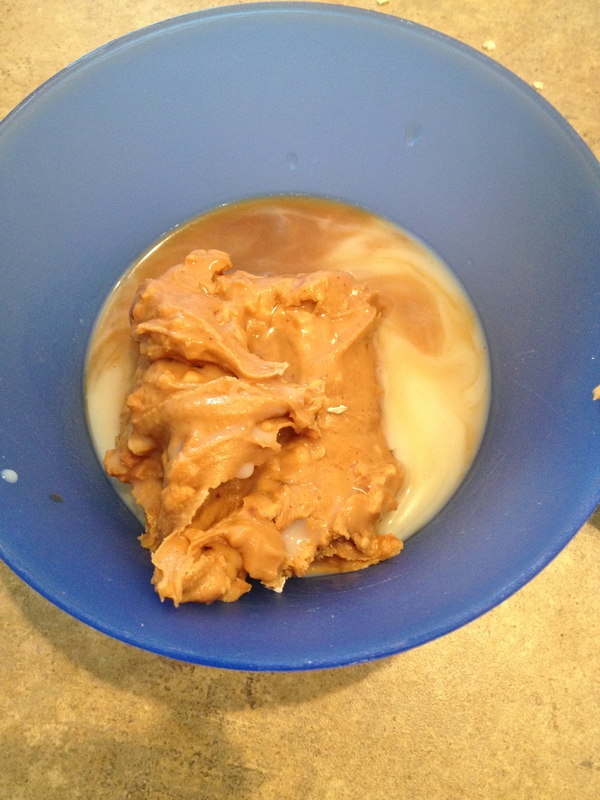 In a microwave safe bowl or cup dump crunchy peanut butter, simple syrup, vanilla extract, and soy milk. I set the microwave for one minute and then forgot to stop it at 30 seconds to mix it, so it spit and bubbled over a little in my microwave – my warning to you. Stop in intervals to mix! 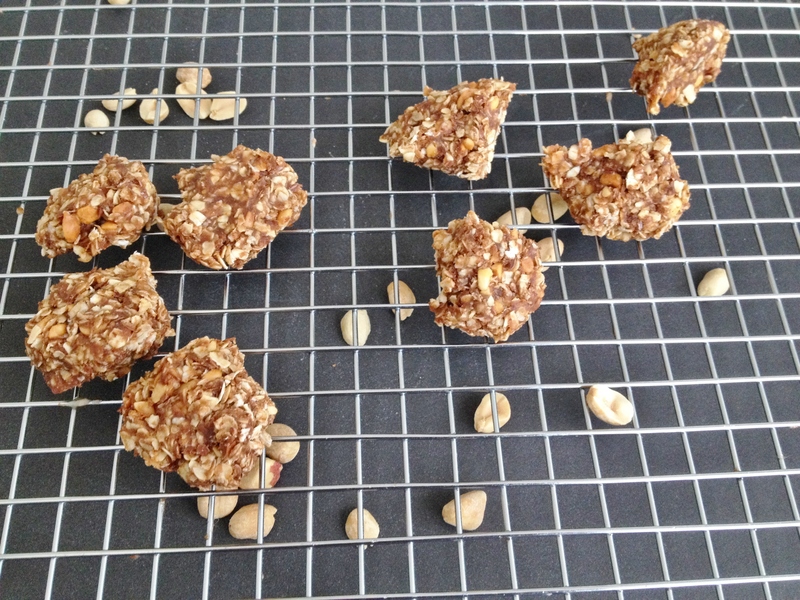 After 60 seconds take out and mix really well then dump into oats. 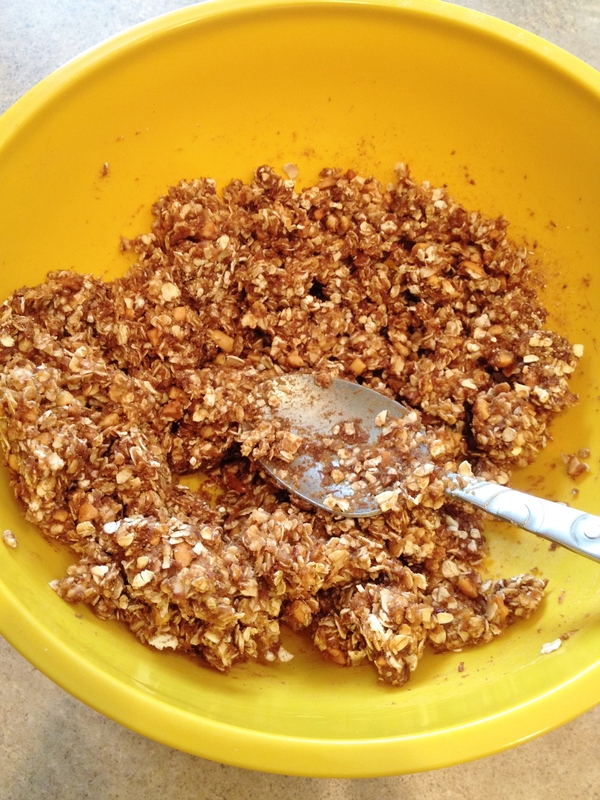 Use a spoon to mix really well then use a small spoon to scoop out mixture. Press the dough into a ball with your hand then roll, gently and set on baking sheet. Once all cookies are laid out put baking sheet into the fridge and let sit until all are hardened, about 1 1/2 to 2 hours. Enjoy! 1. Line a baking sheet with tin foil. 2. 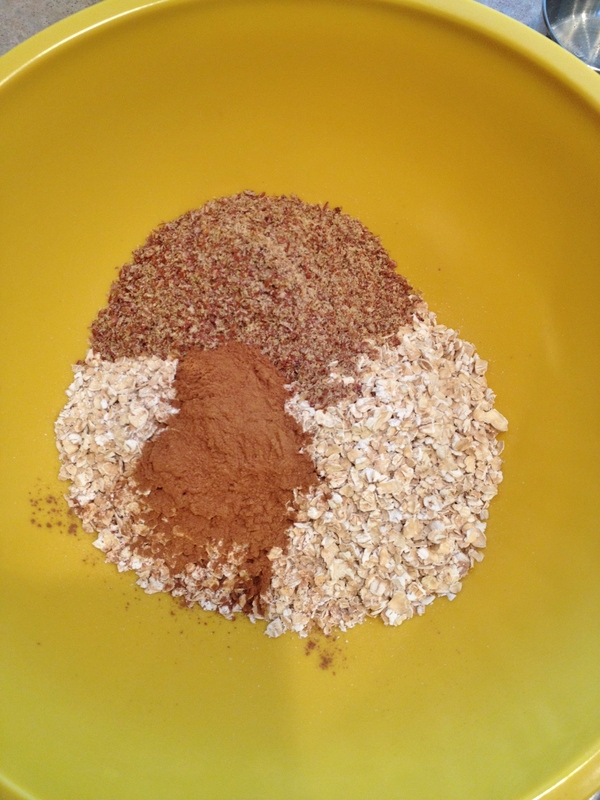 In a medium bowl dump oats, flax, and cinnamon and mix. 3. In a microwave safe cup or bowl dump peanut butter, milk, syrup, and vanilla and microwave 60 seconds, stopping at 30 & 45 seconds to mix. 4. 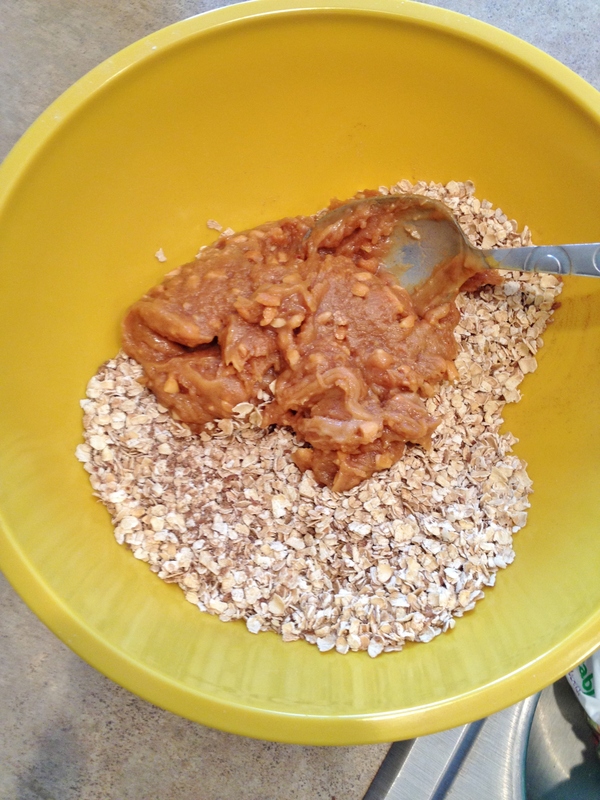 Mix in the cup then dump into oat mixture and mix until well combined. 5. 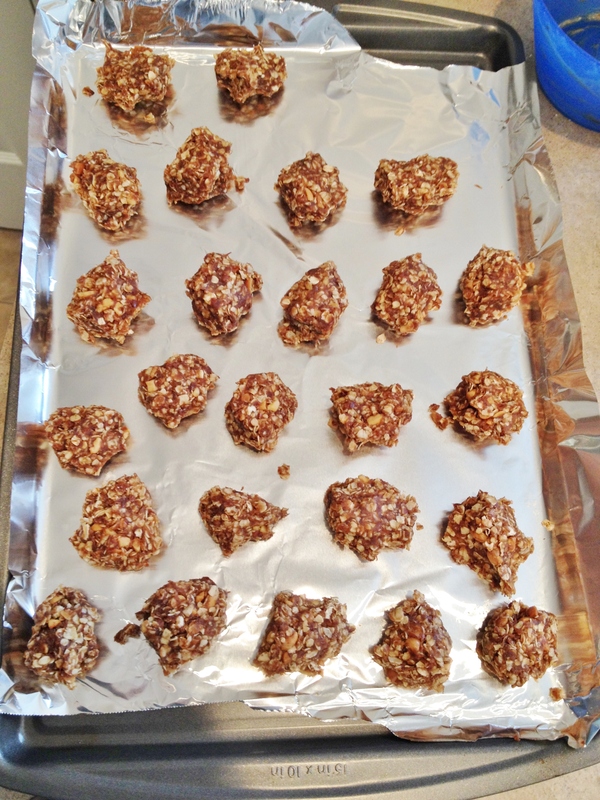 Use a small spoon to scoop out small amounts and carefully squish and roll into balls. 6. Place all cookies onto baking sheet then pop in fridge until hardened – at least 1 1/2 hours. Peanut butter and cookies…heck yes! I love the combination of sweet and salty! I haven’t tried the Smart Balance peanut butter yet…aww these cookies are too cute to eat!